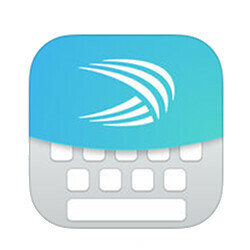 SwiftKey, the popular keyboard app, is getting new features in the most recent update released on App Store. If you own an iPhone, iPad or an iPod touch, you'll benefit from all the improvements added to SwiftKey today. The newest SwiftKey app comes with several new themes, 8 to be more precise, 15 new languages, as well as a couple of improvements to 3D Touch. On top of that, the app should now allow users to find the emoji they want faster than ever. Apparently, there's a new emoji prediction panel available in SwiftKey for iOS, which shows up when you tap on the regular emoji key. A selection of 18 emoji that match your sentence will pop up once you have typed something and then push the emoji key. Furthermore, a new pack of themes called “Oxygen” has been added. They come in various colors like Red, Orange, Yellow, Green, Light Blue, Blue, Purple, and Pink. All these themes can be found under the Design menu in the upper right-hand corner, and they're available for free. As far as the 3D Touch improvements go, SwiftKey announced that based on user feedback, they have decided to add haptic feedback for users on iPhone 7 and above. Also, the ability to swipe to move the cursor is now more responsive. Last but not least, support for 15 more languages has been added to SwiftKey for iOS: Akan (Twi), Egyptian Arabic, Bambara, Dagbani, Jola-Fonyi, Ewe, Gujlish, Greenlandic, Lingala, Latgalian, Mossi, Northern Sami, Shona, Tanglish, and Wolof. In my native language SwiftKey is better at predictions. It's about time. Predictions on SwiftKey is Godsend.